It’s not G-LADZ’s year having come a cropper whilst stood minding it’s own business at Sleap Airfield (EGCV) today. 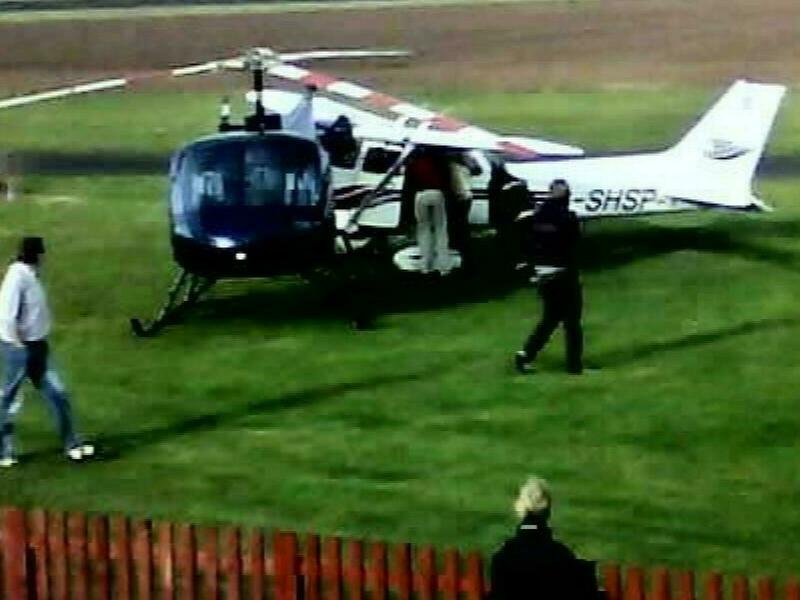 As can be seen by the picture, a Cessna ploughed into the side of it whilst it was stood waiting to be refuelled. G-LADZ owners, and myself, were sat having a coffee in the lounge when the crash alarm was activated and we all instinctively went to look out of the window to see if all was O.K. – only to discover that LADZ had been unceremoniously assaulted without provocation. The elderly pilot of the Cessna had apparently applied full throttle whilst taxiing from the AVGAS pumps and had ploughed straight into the side of the Enstrom. Fortunately no-one was hurt and the RFFS team were on hand to ensure that there was no fire. LADZ was parked in the designated JET A1 refuelling area but fortunately had not yet uplifted fuel (otherwise that would have been a waste of JET A1!!!). Regrettably there is a significant amount of damage to G-LADZ and whether it survives to tell the tale will remain to be seen. Either way it’s a terrible shame as it’s only just been released to service following it’s dramatic landing recently when the gearbox failed in flight. Fortunately most of the LADZ boys have Jet Ranger ratings so I guess my machine will be seeing some more action. I’ll keep you all posted!!! Safe landing for the lads in G-LADZ!! 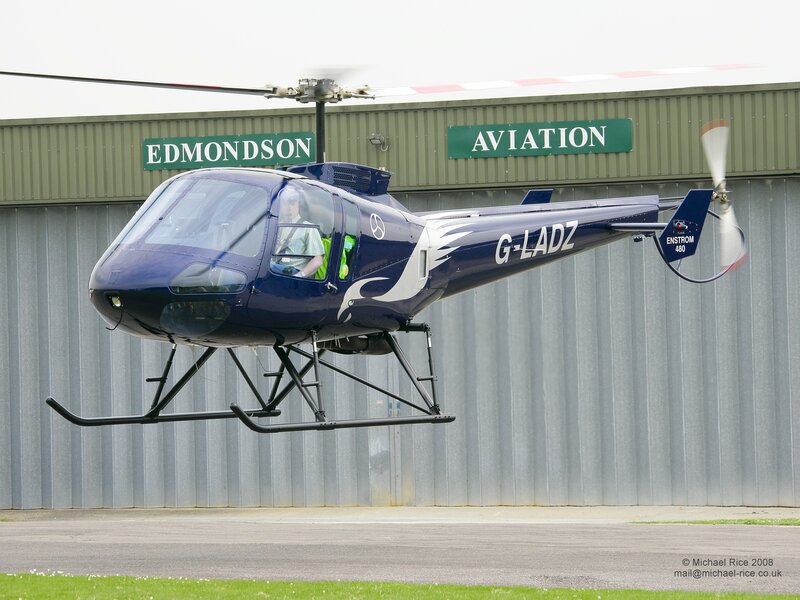 G-LADZ, my first chopper, was involved in a precautionary landing just south of Biggin Hill over the weekend after it suddenly developed severe vibration, accompanied by not very healthy sounding banging noises, whilst in the climb. I wasn’t in the aircraft, an Enstrom 480, but three of my closest mates were and I’m obviously pleased to report that they got the machine down safely into a field. Oh the joys of Jet Ranger ownership! My two years are up and the life of my (probably perfectly serviceable) Tension Torsion (TT) Straps has ended. The straps only have a 1,200 hour life, or 24 months, and are probably the biggest complaint of every Jet Ranger owner (and for that matter, every other helicopter owner that utilises them, including the boys from G-LADZ). The straps are really a large rubber band and effectively keep the main rotor blades attached to the mast. Apparently Bell are testing a new design which might increase the life to 36 months but to date, although the straps are being evaluated in the field, they have not yet received approval. So until then we’ll all be chucking perfectly serviceable parts in the bin at an extortionate £6k-£7K price tag and you guessed it, my machine is off to PDG at Wolverhampton for two days.! “Ouch” does not begin to describe it!!!! 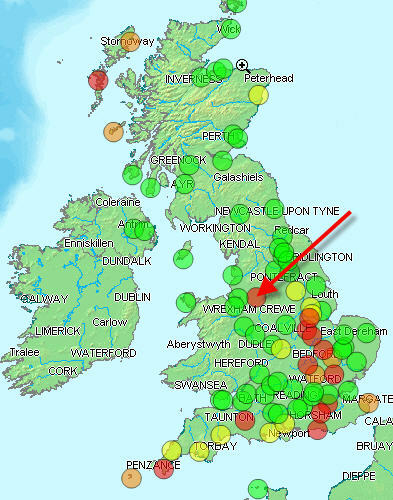 Isn’t this WX map just typical of Manchester weather? O.K. to be fair, the south east of England isn’t looking too great, and it’s flyable I suppose, but it’s just amazing how everywhere around Manch is niceley VFR, but were marginal as ever.!! I’m itching to go flying ,and I’ve got a tentative plan to go down to North Wales with Steve and G-LADZ tomorrow, but i’m going to have to try to resist getting my machine out of her pyjamas and burning off some JET-A1 this afternoon. A couple of weeks ago I decided that I really should order some decent covers to protect G-EWAW when inclement weather is due in. I do cover her up but only partially and I wanted to make it easier to do it when I did. I flew down with my pal Steve (from G-LADZ) to CopterCovers in shropshire, landing in their private field, and had a little tour of their workshops. They manufacture covers for a range of helicopters and also for the military. After my visit I ordered a full set of covers and I’m expecting to have them in the next few weeks. Apparenty though some have already arrived at my office (i’d agreed that they should send them in stages so I can use them) so I’m going to go up and get them!